Movies can become experiences at times for the audience. It may take them to it’s own world, some characters may make a better connect than real people. If anybody asks me that how far a movie can take it’s viewer, my answer will be “even to the heaven!” This is not a word that I would say to deceive someone but I have had a filmmaker in my mother land who made me chase the Gandharva (celestial being) to the heaven and loose many nights’ sleep! I was in the Ottappalam railway station when Jayakrishnan bid good bye to Clara, I was in the PG home when Nimmi and Saaly were choosing to die, I was in Solomon’s tanker lorry when he finally took Sophia to the wine yards! If a film or a character is born from the nib of Padmarajan’s pen, it can take you to anywhere it wants and make you feel even the unexpressed emotions! P. Padmarajan, the man who wrote the most iconic characters of Malayalam cinema, the filmmaker who made films that were far ahead of it’s time. Padmarajan was born in Muthukulam in Alappuzha district. After completing his graduation from University College, Trivandrum, he joined the All India Radio as programme announcer. He had started writing from a very young age. Padmarajan won the Kerala Sahithya Academy award for his first novel ‘Nakshatrangale Kaaval’ in 1972. He entered the world of cinema as a screenwriter for the film ‘Prayanam’ in 1975. The same film was legendary director Bharathan’s directorial debut. Padmarajan has written 36 film scripts and he directed 18 of them. Both his literary and film works are considered to be excellent and most of them best of it’s kind. He had the power to capture true human emotions in his works. Padmarajan dealt with both rural and urban ways of lifestyles and came up with few unimaginable plots back in the 80’s. Padmarajan passed away in 1991 at the age of 45. Many Padmarajan films have surpassed the realms of imagination. Today we may ask that what’s new in telling a story of a retired school teacher who decides to open a beauty parlour, but the amazing fact is that Padmarajan had told this story in 1984 when beauty parlours where far from regular lifestyle (the film is ‘Parannu Parannu Parannu’). 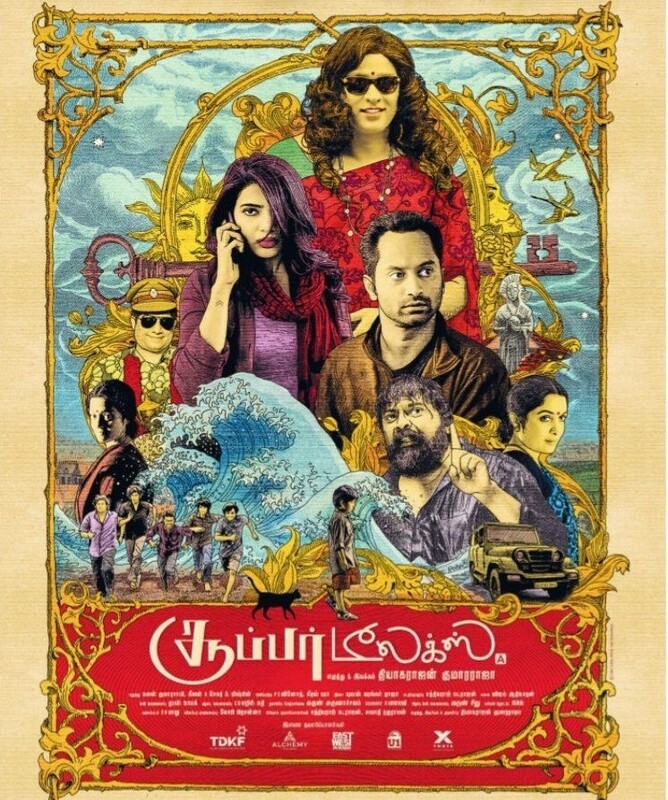 The heroine’s alzheimer’s (Innale) or a family deciding to sell the ancestral house and leave their mother in an old-age home (Thinkalazhcha Nalladivasam) or two girls escaping from their boarding school during an excursion (Deshadanakkili Karayarilla) were all exciting and inexperienced plots. The conservative society had their jaws dropped when Solomon accepted Sophia even after she got brutally raped by he step-father. Padmarajan even made a film out of ‘a visit to a brothel’ (Arappattakettiya Gramathil), he looked through the point of views of the people who were very less spoke about. The eternal love saga of Malayalam cinema was born when the hero wrote a fake letter in the name of a nun to an unknown girl, who was actually inviting her to be a prostitute! (Thoovanathumbikal) I’m sure at least some of us may remember Clara and Jayakrishnan every time it rains. The dangerously evil smile on Vishwanathan’s face while seeing the remaining of the burnt body of his impostor (Aparan) is still haunting. Even the person who has got the hardest heart would get his eyes wet when Thampi places the ‘Caution’ board on the beach (Moonnaampakkam). And nobody knew that it was the filmmaker’s last when the Gandharvan wore the most stylish clothes and romanced Bhama (Njan Gandharvan). All the leading men (the characters) from Padmarajan’s films are still the most desirable ones. The women from his movies will have a character of their own, they will have dignity and a voice of their own. The music from his films are unmatched till date. Even the background scores will say that they belong to a Padmarajan movie. Beyond filmmaking techniques and cinematic notions, all his films had a soul to it’s story, the characters and their emotions. And that is why even the subtext of a scene could communicate with the audience. The filmmakers who entered the films after Padmarajan had followed many of the general traditions of the movie business and were influenced by many directors, but nobody could create the Padamarajan Magic. The director’s movies were his signature, those pieces of art will stay young till the date cinema exists. Movies are visual story telling and stories told by this man are meant to be passed on to generations. I’m someone who have wished if Padmarajan had a longer life, 36 films of 36 variety weren’t enough for me. But the Celestial Filmmaker had graced Malayalam Cinema and everyone who love cinema with some magical films. Cinema has not yet walked some of the paths the filmmaker had already taken. Some people are like Clara and Jayakrishnan, you know that they will get separated, that they will leave your world, they may leave few things incomplete. But when they part their ways, they leave a sense of satisfaction! It is painful but there is a feeling of gratitude. This filmmaker is someone who gave us that feel. There may be many great filmmakers around the globe but there was, there is and there will be only one Padmarajan!